Thursday February 14, 2019 - Gatundu South MP, Moses Kuria, has revealed that he will never vote for Opposition Leader, Raila Odinga, in any Presidential election. This comes even after the two allegedly mended fences, a move that has seen Kuria visit Nyanza freely. 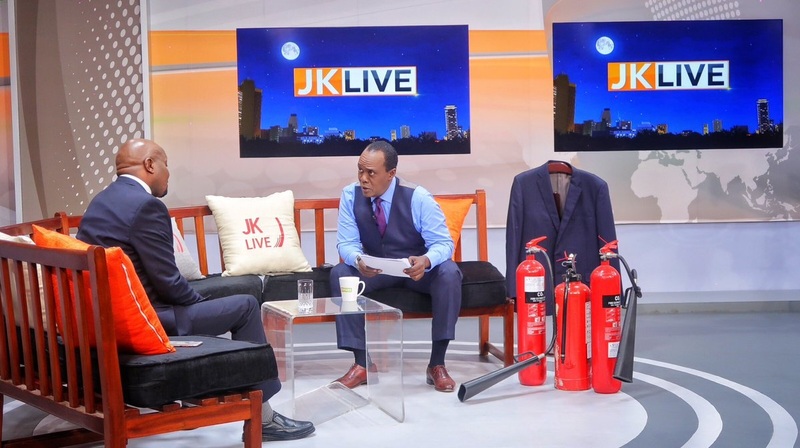 Speaking during the explosive interview on Jeff Kainange Live (JKL) that airs on Citizen TV, Kuria said Raila can only be his competitor because he has also declared his candidature ahead of 2022 polls which Odinga could be a likely candidate. "I will go for the seat and I am ready to face anyone else," said Kuria. However, he supported the handshake between President Uhuru Kenyatta and Raila, saying it was the best decision ever to happen in the history of Kenya, insisting that he will support it always. “The handshake has brought about stability," he said.